Matching icons for you and your friends. More icons to use for ZZT and related files! 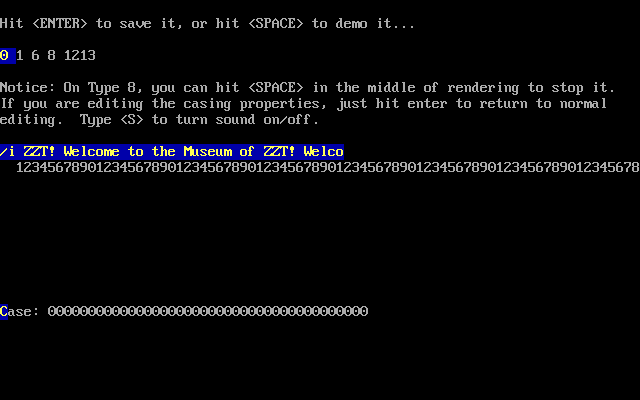 An very early in development version of a ZZT clone written in Pascal. Just like ZZT was! A tremendously useful utility that can make scrolling text in just a few seconds. 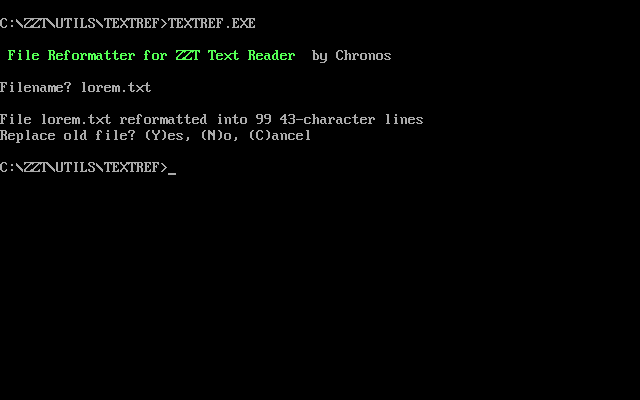 Input your text, select your mode, and you've got scrolling text ready to paste into ZZT! This can save you hours worth of boring programming. When you run the batch file, it replaces the "score" and "gems" with "money" and "mana". Useful for any of your RPG games, but it's probably easier and quicker just to pretend that the counts read "mana" and "money." This utility locks or unlocks your ZZT games. It uses the basic save lock form of locking, so it doesn't work very well at all. Just +debug and you're through! 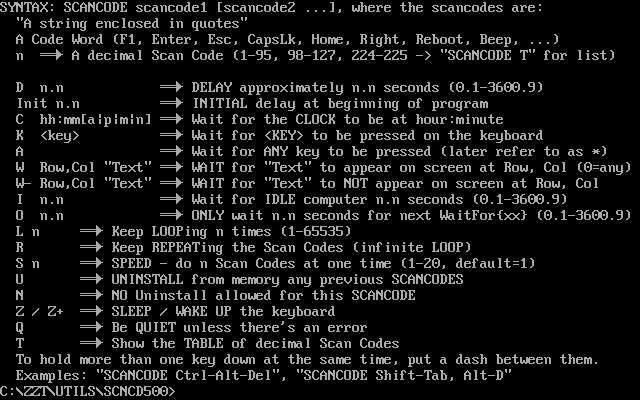 A TSR program which allows for the creation of key macros. Includes a sample batch file which binds function keys to ZZT's cheats. It's reasonably quick at typing and may be of use when playing worlds which require ?+i to open an inventory. 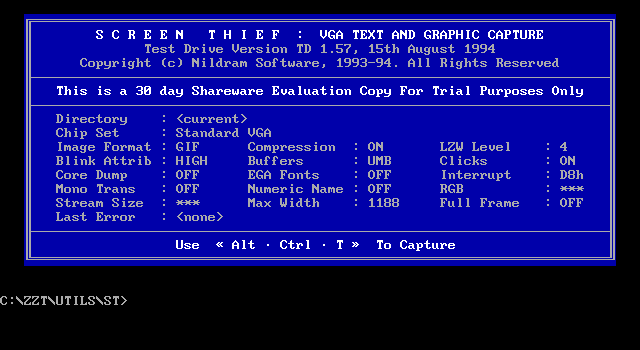 This very useful utility will take screenshots of your ZZT games. 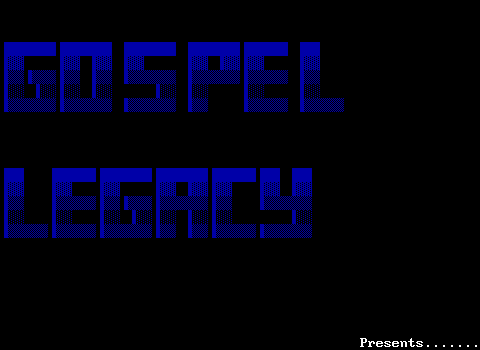 Simply load it in DOS and run ZZT. Then hit CTRL+ALT+T and you've got your screenshot in .GIF format! You can also create a batch file to make it run in Windows. 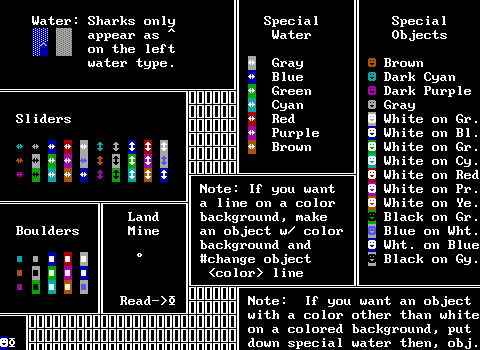 SuperWAD is a ZZT game editor. It is currently FAR from complete. 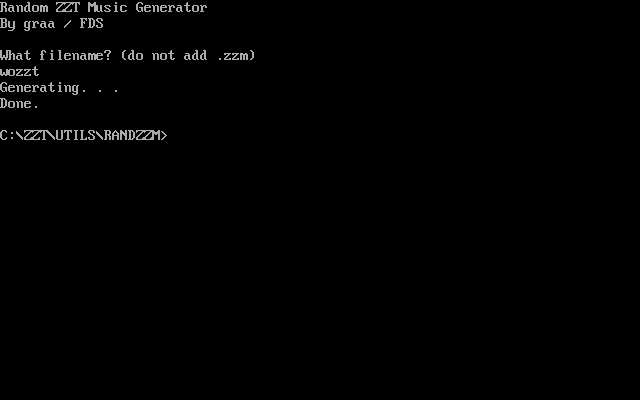 This will convert guitar tab (.tab) files to .ZZT format. It's a DOS program and gives you the options of either printing the results, dumping them to a file, or displaying them on the screen. Works very well. This will reformat a .txt file so it fits in a ZZT window. Perfect for dialogues, but make sure it doesn't lop off the text at the end of each line! This appears to not work in DosBox properly. 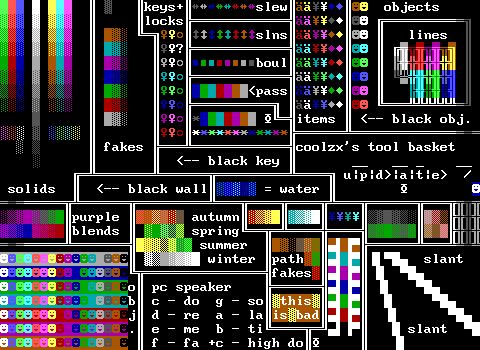 Used to generate ZZT-OOP for text effects. Crashes under DosBox. This seems to unlock most stuff. Useful to unlock those old games back when people used to think locking would actually do something..
A very nice Windows program that acts as a frontend. Define your ZZT directory, and this will sort your games out for you. A very nice contribution, indeed! 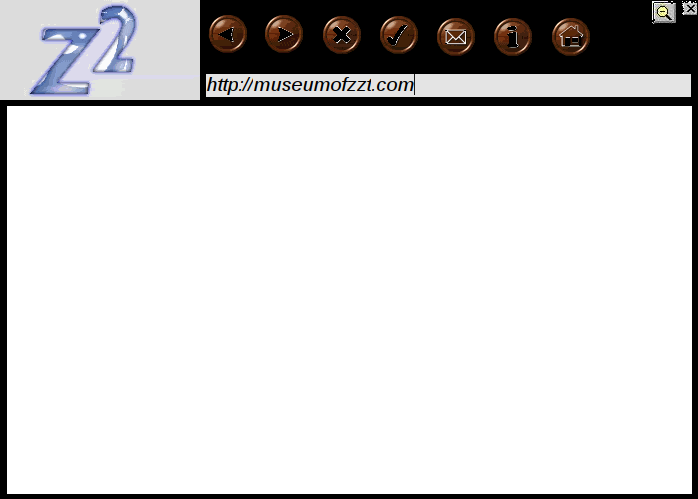 A web browser skinned to look like z2 in 2000! It doesn't seem to function anymore. It also has a dedicated button for e-mailing MadTom. A slightly later edition of the z2 browser. It still doesn't work, but the colors are a bit less glaring. It also makes laser sounds.